The Law Portal offers custom reports for the Code of Virginia and the Virginia Administrative Code. 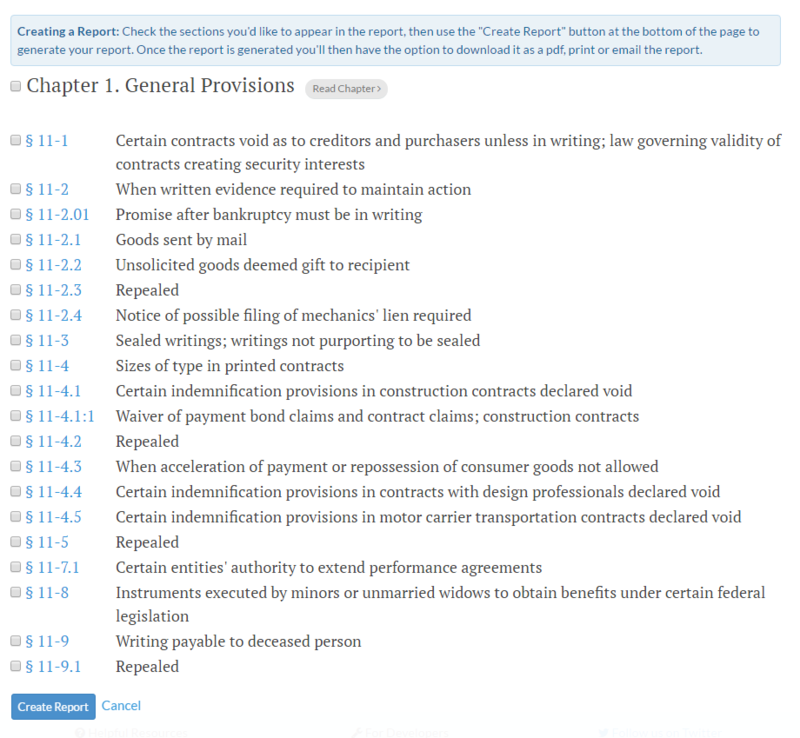 When you are in these collections, on the Chapter-level Table of Contents page, you’ll see a toolbar button labeled “Create a Report”. This feature allows you to select certain sections within the chapter for viewing. You can select all the sections by checking the box next to the chapter name. Selected sections do not need to be consecutive. After clicking the blue Create Report button, you’ll see your report on a new page, with exporting options in the toolbar. Click Print to send the report to a printer, click PDF to create a PDF version of the report, or click email to transmit a hyperlink of the report.